Faraon Gandules are packed for those consumers who want to cook their gandules the same way their ancestors did it. 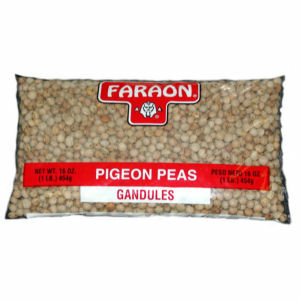 Canned gandules are also available from Faraon. But these dry gandules are for those who want to go the extra effort in cooking it to their exact taste in softness and salt content. Enjoy Faraon Gandules.. Truly a great specialty. We have a great recipe in the back.. Try it.